Win My Darth Vader Piggy Bank! But my bad memories = your gain! This fine piece of ceramic goodness could be all yours, simply by taking a little guess. Not only will one of you win this Star Wars bank itself, but also all the money that’s contained inside of it. What do you think about that?! The one who guesses the *closest* amount of money inside wins! It’s not filled to the top, but it’s also not close to the bottom either. PS: You can see it from the picture above, but there’s a small chip where that white little tusk thing is supposed to be on the right side of the mask. Maybe you can’t notice it, though? That bad boy would go right into my office! Not sure what I would do with it! $82.13. We love Star Wars and need this to go with the Storm Trooper bank my son has. $56.45- would be a nice addition to my collection! $68.79 This would look awesome in my office! $68.45…who doesn’t love Star Wars! $42.67 – I know a big Star Wars Fan that would totally love this! 89.6 would be my guess. I bought my brother one of those for Christmas a few years ago. I’m going to guess $77.55. I’ll go with $51.17. Gee, this is like a twisted version of The Price is Right! I love it! I’m guessing $64.78. My son would luv luv it! $54. Even. Thanks for your generosity, J! $32.23 is my guess. I love Star Wars. $40. My son would love this! I’m going to say $37.97 because that’s how much was in my change cup that last time I went and that would be awesome if we had the same amount of change. 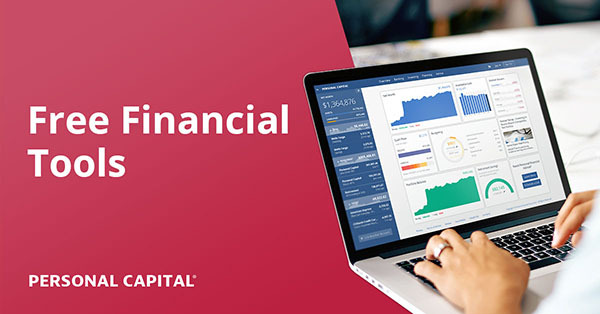 $38.17 – pretty sweet bank! $47.74 – my hubby would love it! I’m gonna pull a Price Is Right: $.01!!!! $49.00 even. I have xray vision and a calculator btw. $98.14 – My son is a huge Star Wars fan and would love this! $27.39! I am a huge fan! $42.64? If I don’t win it I’m going to seriously consider buying one. I’m going to guess that there is $39.17 in the Sith Lord savings! Momma needs a new pair of shoes..
$102.24 May the force be with me. Always. I’ll say $76.87. I enjoy reading your blog, thanks! I think there is ….. $83.37 in it. My BF would love it…he already lives in a Star Wars Museum. Mt guess is $28.32. My son would love this little guy so I hope I am close. $65.62 – thanks for the contest! My guess is $77.88 that will look fantastic in my office. It’d be nice to have a piggy bank instead of having to use sandwich bags and a box. $72 even. I could use $72 right about now. $25.71 Not a star wars fan either, but my kid would love it! My nephew would FLIP over this. I’m going with $45.01. I guess $84.23. This is my favorite giveaway ever! This would be a great gift for my brother! If it’s anything like my piggy bank, there will be a whole bunch of pennies. So, I’ll guess around 23.01. Fun game! My guess is $26.22 !! Looks a lot cooler than the Crown Royal bags that I use. Bringing lurkers out of the woodwork! My husband loves star wars! $63.61, because I’m testing the wisdom of crowds hypothesis. I’d do something boring, like give it to my kid. Awesome contest idea! :) I’ll say $63.08. $87.22 :) Huge Star Wars geek over here! I’m going to guess $86.63. Thanks J! Now you have to scroll through all these and sort! Well, here is my guess.. $83.29. I’m guessing $60.26. This will be under the tree for my husband if I win :-). Fingers crossed! I guess $40.18. Fingers crossed! $115.22. I’d rather win the PowerBall jackpot, but this would be a great consolation prize if I don’t. $26.78 is the winning guess. And it happens to be mine. J – you are da MAN! Hope you had a great holiday. Me – I’m stuffed to the gills. I’m guessin’ $48.48. If you’re like me – you throw most change into the bank, but keep the quarters for machines. $15.32 – going on the low end…. Great game J! $80.24 – my son would love this!!! $42.42 – come to daddy. A Star Wars Piggy Bank would out me as a complete geek, and look really really great with my Star Wars Potato Head Collection! Couldn’t pass this up. $132.29. Thanks. I am hoping $53.23 will bring me a very cool piggy bank. Ooohhh… or maybe $67.45. Yes, I change my guess to $67.45. Final answer. $103.00. 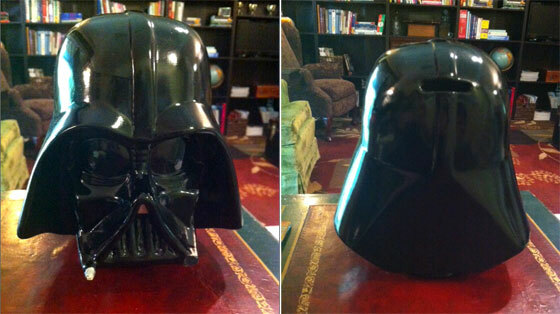 Everyone needs a Darth Vader piggy bank in their lives. If they say otherwise, they’re lying. J, I am your father! $48.76. And I think my odds of winning this are a ka-jillion times better than they are of me winning the powerball. I’m hopeful! I’m guessing $123.42. Thanks for holding the contest! I’ll guess $93.25. I don’t THINK anyone has guessed that yet! Thanks for the chance! $52.18 May the force be with me! $97.68! Did anyone say that yet? There’s too many comments to keep track of so I’ll leave that to you! $23.88 -Am I too late? Previous post: The Millionaire Mailman?